When treated to a custom finish, aluminum and steel parts on your car, truck, motorcycle, etc., can literally transform your vehicle. 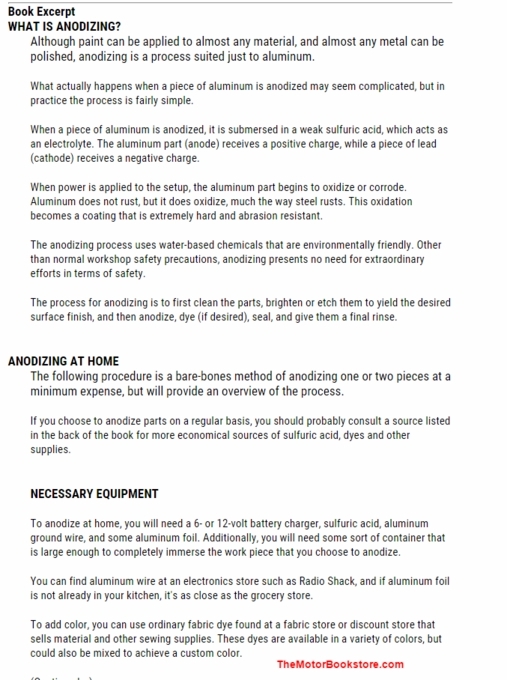 In How To Plate, Polish and Chrome, Dennis Parks shows and explains each procedure in detail, and even includes valuable tips for the do-it-yourselfer. Packed with full-color photographs, this book includes a detailed section on painting parts, and several motorcycle parts are used for a step-by-step demo. This guide covers all materials necessary, their cost, which process to use, and knowing when to have a pro do it. A must-have, how-to manual for the dedicated DIY hobbyist interested in learning the basics of each procedure covered by this book. 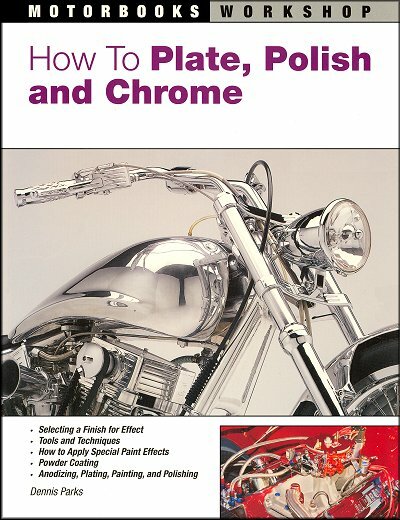 Ask a question about How To Plate, Polish and Chrome: A DIY Guide.